Fast food restaurants are havens of instant gratification. These are places where people head to for an instant dose of something tasty – without wanting to endure lengthy wait times. While every day life forces people to patiently wait through traffic, long work days, and late trains, fast food restaurants are supposed to provide relief from this. They need to be FAST. Without the ability to process orders in a swift and mechanized manner, a fast food restaurant can very quickly transform into a chaotic catastrophe, unworthy of the “fast” part in its categorical designation. Fortunately, there are a number of high-caliber fast food POS systems designed to launch your restaurant into the twenty-first century and guarantee your ability to provide fast, top-tier service while maximizing your sales. Comparisun have reviewed the best fast food POS systems for you here, highlighting what each can do to maximize your restaurants’ competitive edge. Why Do You Need a Fast Food Specific POS System? In the same way that you wouldn’t use an airplane mechanic to tune-up your car, it makes little sense to use a POS software that isn’t specifically-calibrated to meet your company’s needs. 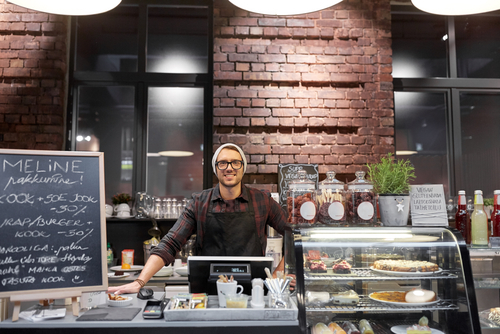 Different industries require custom-tailored POS systems that focus on the aspects that matter most to them, and fast food restaurants, in particular, require a fast and simple to operate POS software that suit the environment they’re used in. Ideally, the fast food POS system upon which you settle will serve as a replacement for the cash register – and as a portable, centralized management ecosystem capable of condensing your company’s complicated network of operations into a digestible set of analytics on a user-friendly dashboard. 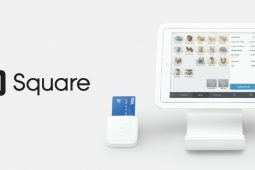 Square – Since its launch in 2009, Square has irreversibly transformed the industry’s expectations of a POS system, evolving the technology from a simple alternative to a cash register to a full-fledged, cloud-based business ecosystem. Indeed, Square is no longer merely a provider of headphone jack-mounted payment ports (though it still offers those, as well), and instead, has graduated to the position of full-scale, purveyor of groundbreaking business solutions. 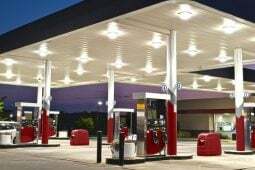 In much the same way that fast food restaurants provide consumers with delicious, quality meals in a few minutes’ time, Square grants entry-level empresarios the ability to start accepting credit card payments immediately. 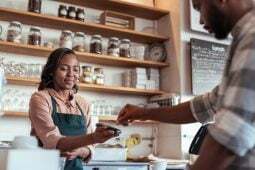 For a low, flat rate of 2.75% per transaction, store owners can increase the flexibility of their payment options, and capture capital from customers who prefer to not carry cash. Square’s menu of features, however, should entice more than just beginning entrepreneurs and first-time restaurateurs. Their app’s sleek and polished array of options includes functionalities that business owners of all tiers can appreciate, such as the ability to monitor employee productivity, manage inventory, change schedules, and handle payroll – all from the palm of their hand. Best of all, Square charges a meager $60 per location, and – unlike many of its competitors – assess no rental fees. Clover – One of the reigning champions of the POS market, Clover is known for its portable hardware, contactless options, and flexible processing options. While its rates are not as amenable to small-volume producers as some of its competitors’, Clover’s willingness to work with companies and draft organization-specific contracts has made them especially attractive to medium and large-sized businesses whose substantial sales volumes allow them more leverage in the negotiation process. Included amongst Clover’s enticing inventory of features are real-time, dashboard-mounted reports, loyalty program management, accounting controls, and personnel scheduling tools. 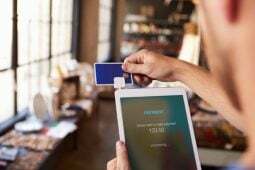 The system is unique in its ability to accept a broad spectrum of payment channels, which include Apple Pay, Android Pay, Gift Cards, cash, and more. Other distinguishing elements that help Clover stand out from the pack are its online retail options and Clover Flexi – a highly portable POS device that boasts a built-in scanner and receipt printer, and makes check out quick and simple from anywhere in your store! Shopkeep – Shopkeep leverages your clientele’s existing familiarity with iPads and tablets to provide a portable, intuitive, iPad-based POS. In addition to marketing custom-tailored options for coffee shops, food trucks, and convenience stores, Shopkeep also furnishes countertop hardware for more conventionally-minded fast food restaurants. Shopkeep’s system offers all of the functionalities required to run both the front and backend of a fast food restaurant, including CRM, employee management, productivity assessments, analytics and reporting, and an offline mode in the event of an unexpected connection error. What truly makes Shopkeep stand apart from its competitors is its highly visual, intuitive user interface that cuts down on overhead expenses incurred during employee training and reduces mistakes made by staff members. Which POS Should You Choose? A well-designed POS system is critical to properly orchestrating the ways in which the different components of your enterprise come together to deliver top-notch, unbeatable service to patrons. Any one of the systems listed in this article offer top-of-the-line features and operation-enhancing tools. Your decision on which to pick should be based on the size of your business, the hardware you already own, and the operational framework of your business. How will your company take advantage of these cloud-based business ecosystems to make the fast food experience even faster? How will your restaurant take advantage of the new arsenal of tools and resources emerging during the POS Renaissance? What’s so good about Mobile POS (mPos) system? What is the best iPad POS System for a Bar?